As a teen, make up can be make or break your face. It can either make you look better or make you look worse. How can we get our skin to look our best? Well, with a little foundation routine I have been using for a while along with tiny tips along the way, you can get step(s) closer to getting your perfect base. #1 Primer // I was never a fan of primer, but it can come in handy if you have troubled skin. There are different kinds of primers to target specific needs for your skin. It can really smooth out your skin to create a better canvas to apply your makeup. The these are the two I have been using. The Too Faced Primed and Poreless Pure, which is your basic clear, smoothing skin primer. The other one is the NYC Smooth Skin Perfecting Primer in #684 ( review here) which works on the same line as the Mac Strobe Cream. It just adds a luminous glow to your skin, but I refrain from using it often ( which you can hear in the review ;D ). If you want to see other primers that target specific need, check out the Smashbox Photo-Finish Primer. They are really expensive, so do not buy them. You can probably find a cheaper dupe online. #2 Concealer // I apply conceal under my foundation because that is what I like to do. I like my concealer to be lighter than my skin tone to highlight. Then I apply foundation to even out my skin tone, but because my concealer is lighter it will show through my foundation making the area seem lighter. I have been using the NYX Concealer in 'Glow' recently, which is not bad. 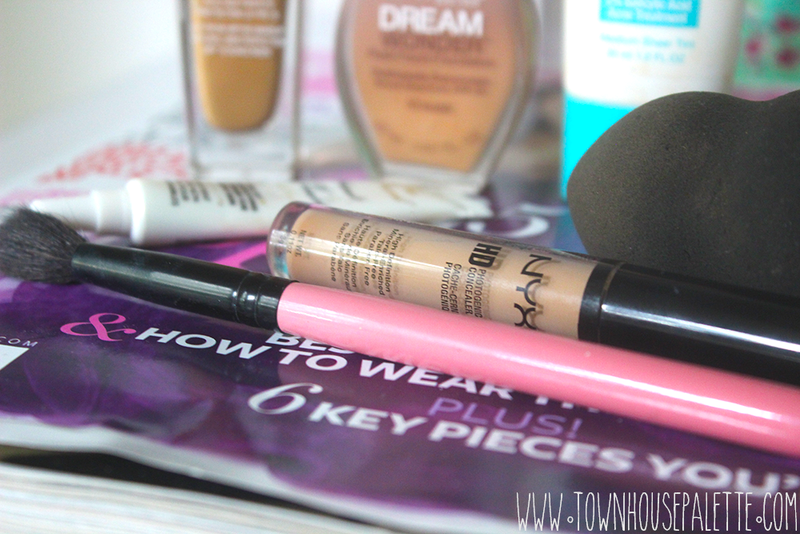 #3 Blend // For a while, I have been using this fluffy blending brush from MyGlam to apply/blend concealer and foundation. It gives a nice light and natural coverage and makes my base look like skin. Then I like to go over with a damp (knock-off) Beauty Blender to just smooth out any streaks from the brush. #4 Foundation // I like light coverage foundation or a foundation with a build-able coverage, so it does not look like I am wearing too much. I have three light-weight foundations above. I use the Lancome Tient Miracle ( reviewed here, mentioned here and here ), which has a build-able coverage and a very beautiful radiant finish. 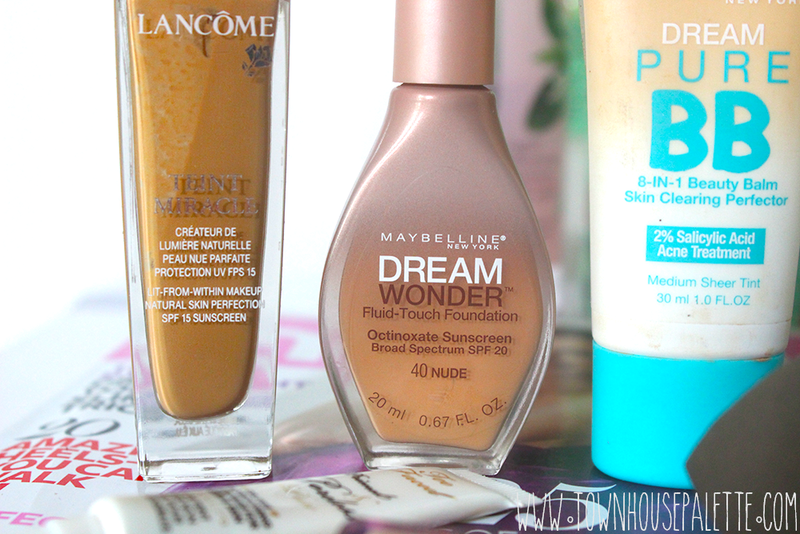 Maybelline Dream Wonder is a really fluid, runny foundation with a light coverage. I like it, but I have yet to fully try it out. 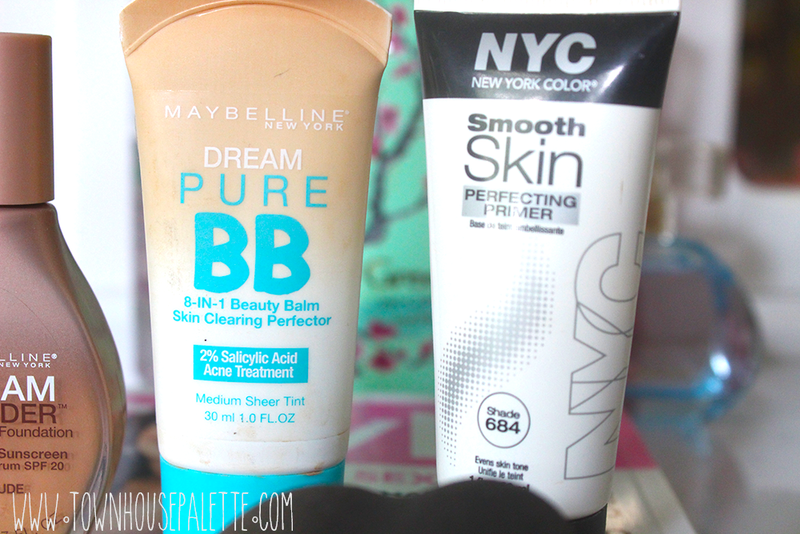 Finally, I have the Maybelline Dream Pure BB Cream. It is ok, but it is way too light for my skin #brownpeopleprobs #1stworldproblems. So, I will probably review this during the Winter or Spring when my skin is lighter. #5 Powder // I hate powder, so i usually just use a finishing spray. So, powder at your own risk. 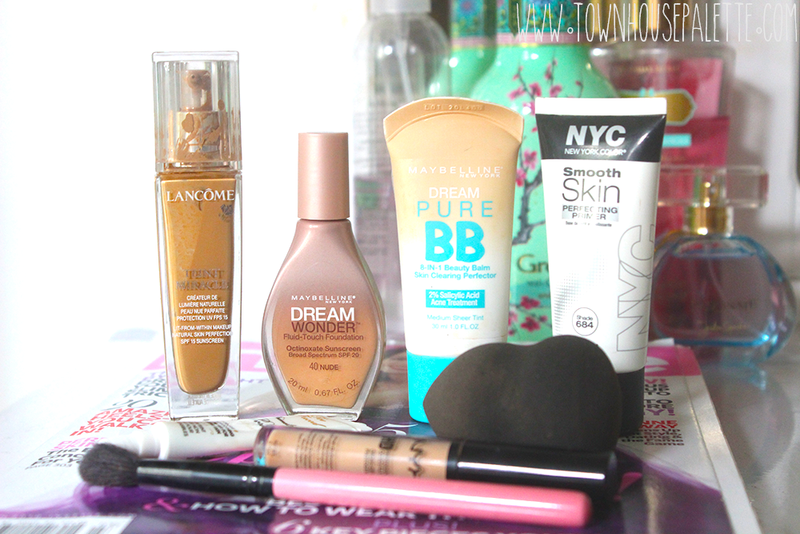 I hoped you enjoyed this post and hopefully it helped you with your foundation routine. 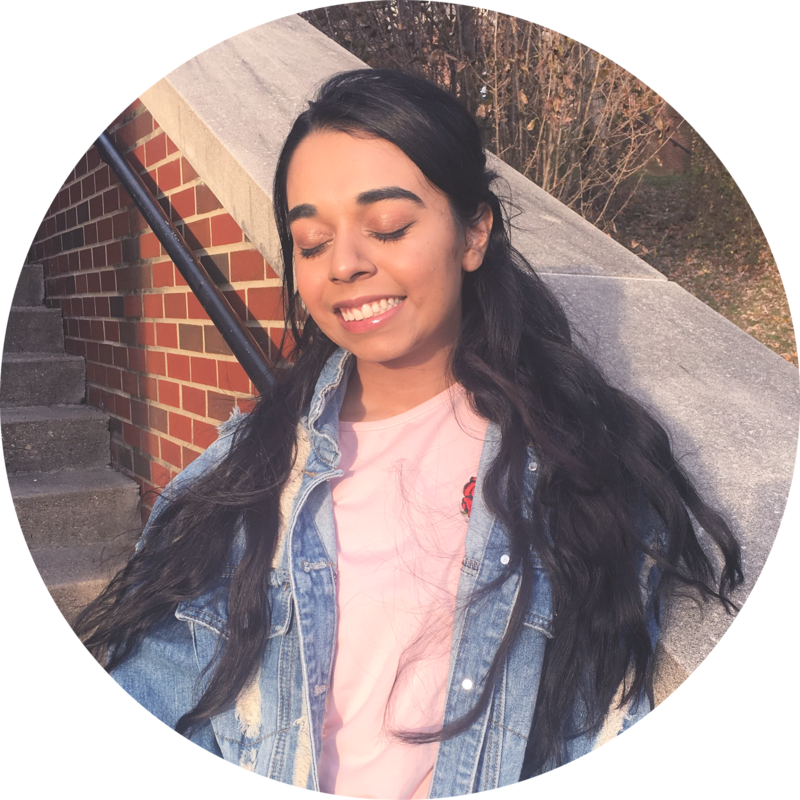 If you came from the #teenblogseries leave your link below, if your not from the #teenblogseries, still leave your link below ^_^ Talk to me on Instagram and Twitter! I really like your post! I've never used primer before, I might have to invest in one sometime! It might make my makeup routine easier! My Blog | Please Join my Blogiversary International Giveaway! This is a really great routine! Great products!!!! I sooo am in love with your blog! I followed you on GFC and would really appreciate if you would follow me back, I will follow you on Bloglovin after you follow me! I agree, I tend to go for my high end foundation ^_^ I really want a BB Cushion >.< Thanks for commenting! It will! I think it really helps my makeup! Humm êtеs vous certain de ce que vous nous écrivez ? ?